The vivid region of Umbria in Italy offers pleasant tours in the vicinity of its very old hill townships. You will dream up of yourself inside a work of art of a master painter whilst traveling the teeny back roads besides shining watercourses and having the peaceful view of chestnut trees as well as prosperous elms along the hillsides. Assisi is well-known for the Church of Saint Francis, and draws countless pilgrims. The village was completely rebuilt next the destructive earthquake in 1997. Saint Francis was born in Assisi during 1181 then inspired by the outstanding Tiber Basin. You may still encounter that stirring panorama across the valley from the mysterious stronghold of Rocca Maggiore. You can walk around the most delightful riches all over the places in Umbria. 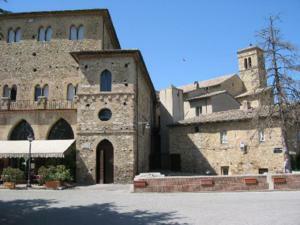 The historical municipality of Spello is extremely calm and liberated of car traffic. It is well-known due to the ancient fortifications that are over 2 thousand years old. See the church from the 13th century then appreciate the amazing Pinturicchio's murals. Bevagna is a minute settlement and to my surprise not a hill village. At this juncture, you will stumble on Roman remains, pretty houses of worship and a wonderful theater dating from the 19th century. Find the hill towns through Umbria by car from March through May and September through November. Stay away from the peak season in summer, once the region is packed. Pass a minimum of a week in Umbria, but in case you have the chance, stick three to four weeks.